Abstract: Airwheel X8 caused a sensation with its dashing look and awesome functions, enjoying a great popularity. Being distinctively designed, riding X8 is an eye feast of the beautiful scenery on the way. Reliable, powerful, portable and fashionably designed, X8 is not only the eye-catching choice for celebs but also a worthy gift to you. Electric unicycle has become a stylish choice and prevailed amongst the major public. Yet how to choose an apt electric unicycle becomes a new problem faced by many customers. Airwheel unicycle X8 is a primary choice of stars and celebs because of its excellent performance, awesome design and affordable price. 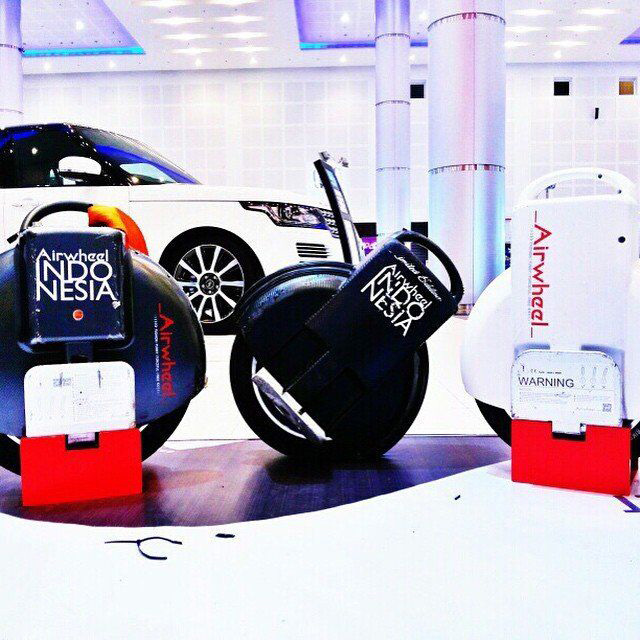 Being the high-end model of Airwheel X-series, X8 bears the anticipation of many Airwheel fans and premium quality. Electric unicycle X8 adopts cutting-edge maglev motor, Japan-made Li-ion battery core and self-balancing chip. Besides, aerospace attitude control theory, fuzzy software algorithm and gyroscope system are introduced to X8 to maintain balance by leaning forward and backward. Riders can control the vehicle to go forward, accelerate, decelerate, and brake, etc. by leaning forward or backward. Similar to the techniques of riding a bicycle, the riders achieve balance by slightly tilting sideways. With strengthened brake and upgraded acceleration performance, the control of the vehicle is utterly depended on body movements. Reliable quality and solid performance guarantee a premium electric unicycle X8, which can stand impact, vibration and heat. Carbon-fibre pattern and fashionable design give it a refreshing look. Riders will win 100% attention from passers-by. Equipped with a 16in magnified super slim hub, X8 presents a steady and sleek contour. 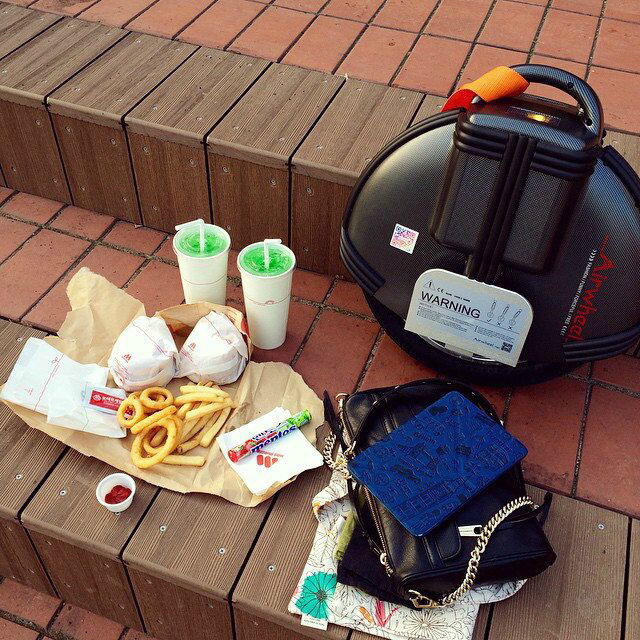 Airwheel electric unicycle X8 delivers super light and portable nature. Speed limit protection, low battery protection, titling protection and alert sound serve to provide you the all-around protection. It is a worthy gift for urban trend-setters. Special colourful pads are considerately added to Airwheel self-balancing unicycle X8 to comfortably protect your legs in riding. The height of pedal is adjustable. There are two options for you to enjoy different views. Airwheel unicycle X8, as an ideal choice of intelligent transporter products, can move at your will and highlight your style. X8 suffices to be called as the “Off-road King” with its superior quality and distinctive look. Step on it and set off for an impressive trip full of passion.